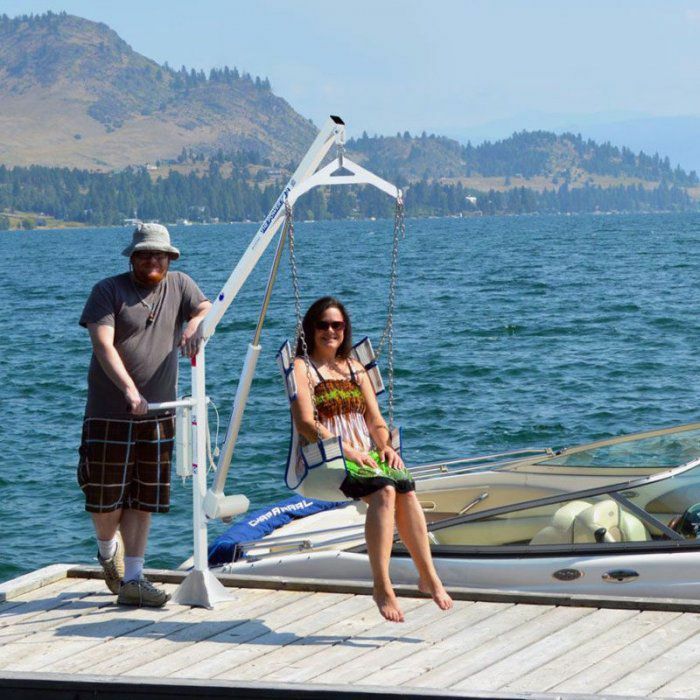 The Residential Power Pool lift offers affordable accessibility solutions for aquatic activities. 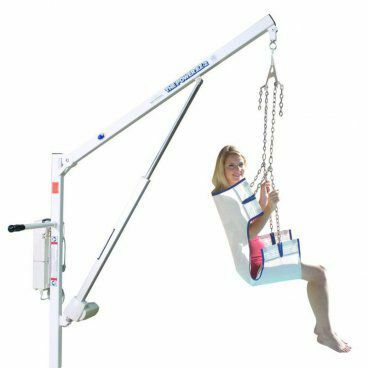 The battery operated pool lift allows the caregiver to stay beside the patient at all times while using the remote hand control to lower into the water and safely back out again. For older adults and those living with a long term or temporary disability, being able to get into a pool or spa for exercise and therapy can have a dramatic benefit to their health. The residential pool lift makes it possible for anyone to get in the water safely. Customize the lift by added optional features, like an extra-long sling or hard seat. Choose from a standard concrete embedded anchor system to a wood deck or surface mount anchor. The lift can work for a dock to boat access as well.